If our numbers came up, we’d all no doubt be down to the new car showrooms lickety-split. But for most of us, the second-hand market presents the most realistic buying option. But which is the UK’s most reliable used car? According to a recent What Car survey? It’s Honda. Unsurprisingly, Japanese and Korean manufacturers dominate the top ten spots and Honda has retained its crown as the most reliable used car manufacturer for the ninth consecutive year. 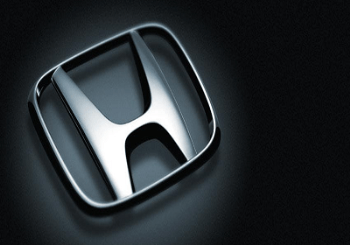 Both new and used Honda car are available in the south west of England from Howards Group. The survey is scientifically meticulous, analysing 50,000 live Warranty Direct policies on cars between three and eight years old, and covers 37 manufacturers. Suzuki and Toyota claimed second and third spots in the research, with Lexus coming seventh and Hyundai ninth. Luxury, prestige marques Bentley and Porsche were the least reliable. Hmm. Feeling smug at all? Speaking about this year’s survey, Jim Holder, Editor of What Car? said, ‘Honda’s success in the reliability index is chiefly down to low failure rates. However, when things do go wrong, the cars are also relatively cheap to fix. The survey uses a formula more tricky than quadratic equations to take into account age, failure rates, mileage and cost of repair. Cars with the lowest RI (Reliability Index) scores are the ones you’ll want if you’re planning that Lands End-John O’Groats run this summer. Managing Director of Warranty Direct David Gerrans said, ‘Household budgets continue to be stretched further in the current economic climate; the last thing people need is a car that costs them money they don’t have in unwanted bills. The most reliable model was the Honda Jazz, which shared the accolade with the Mitsubishi Lancer. Unless you’re related to Bill Gates, you should probably steer clear of the Audi RS6, which comes with an average repair bill of just over £1000. The most common issues with all cars are electrical faults, the reason that nearly 23% end up in the garage. Other common faults are axle and suspension issues, which affected 22% of cars. But at least air-conditioning is pretty reliable – just 3% of owners reported bugs with their cooling systems. So at least you can wait for the RAC in air-conditioned comfort. Customers looking for a used Honda in the south west of England need look no further than Howards Group’s 12 showrooms spread across Somerset and Dorset. Call us for more information on 01823 239140 or click here to see our all used and new honda vehicle stock.